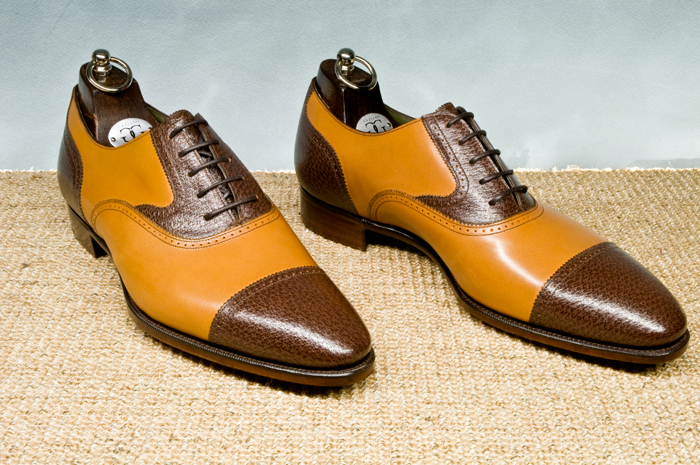 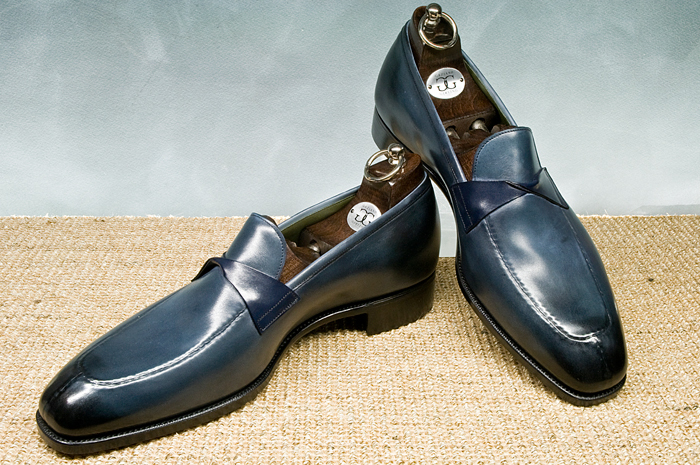 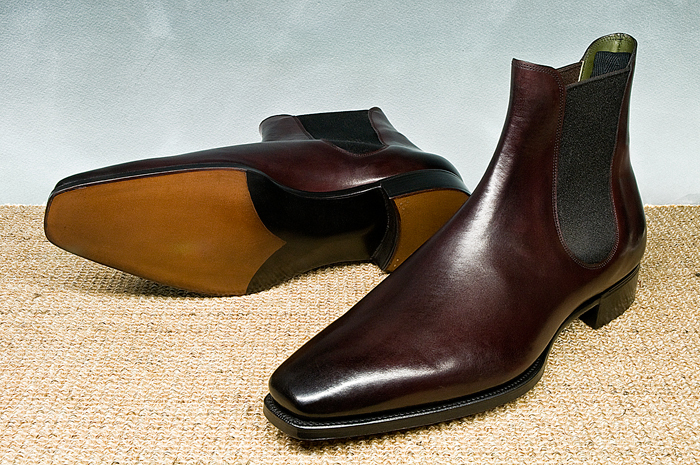 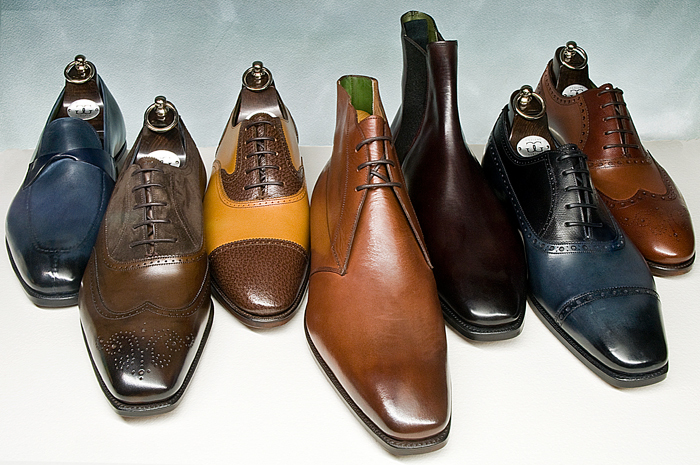 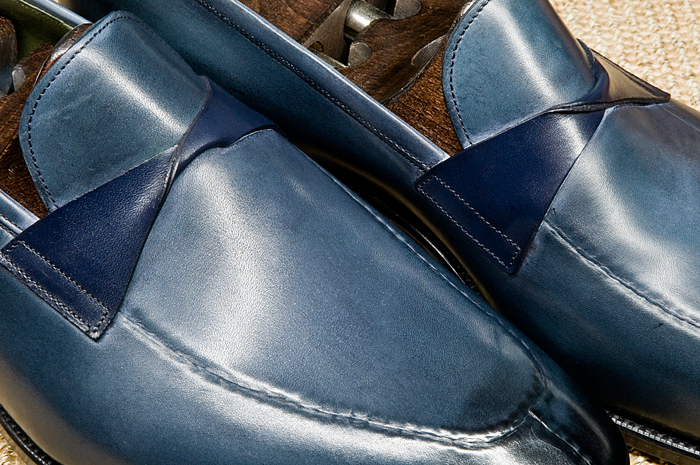 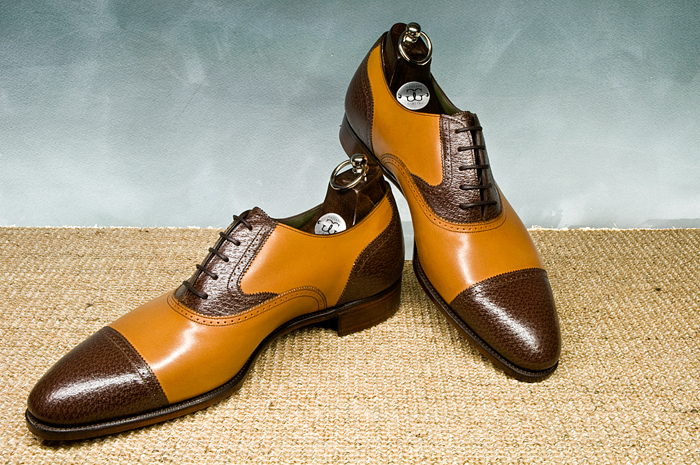 I’m pleased to announce the opening of orders of Gaziano & Girling shoes! 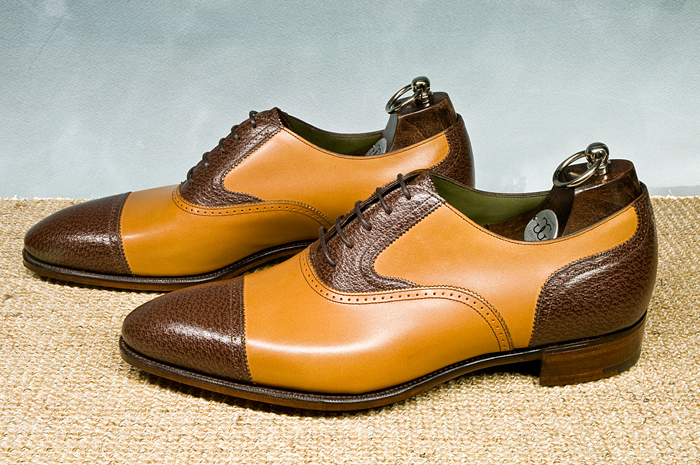 The orders consist in seven exclusive models. 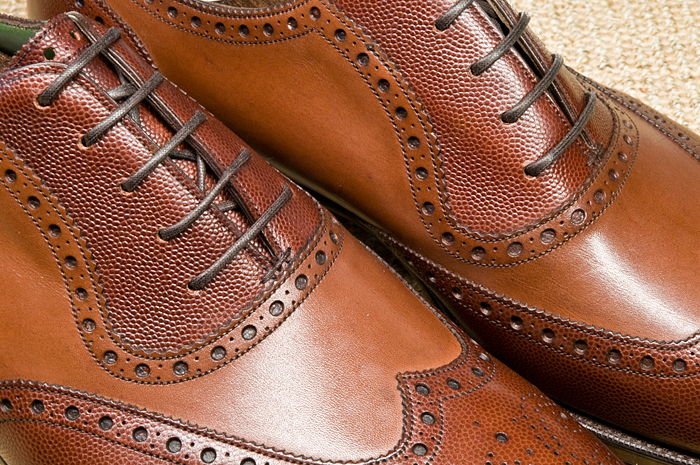 Turnaround time for the MTO (Bench made & Deco line) is approximately 4 months and 5 months. 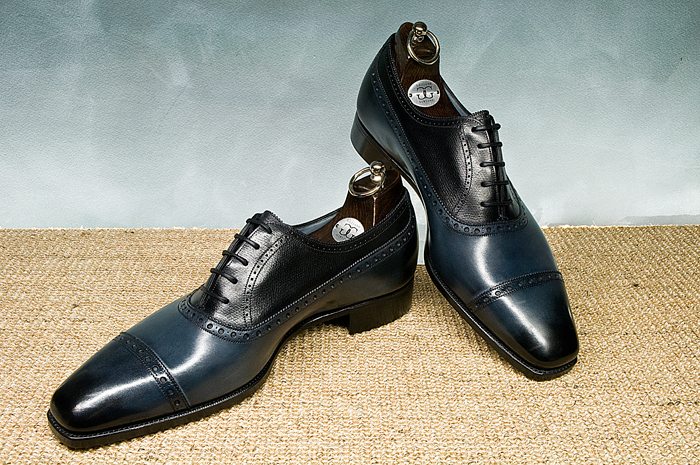 The DG70 smart round last was chosen for its timelessness design. 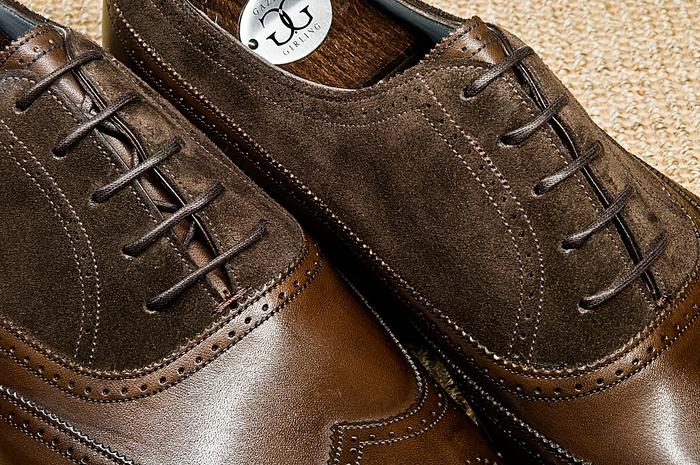 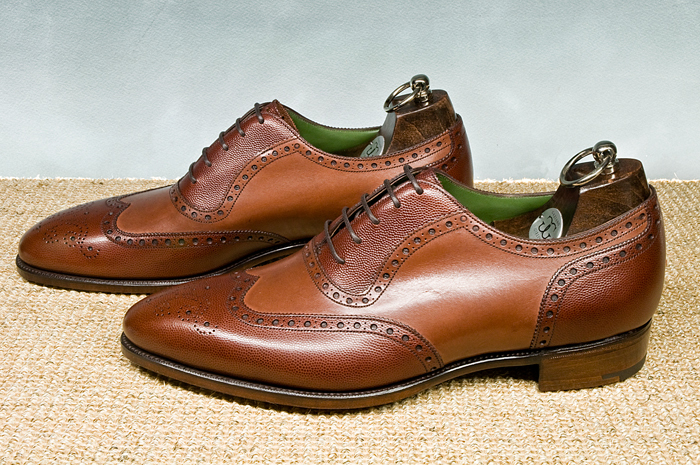 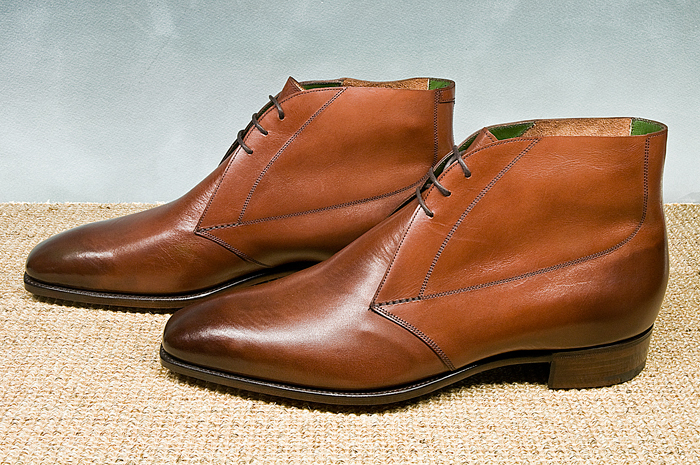 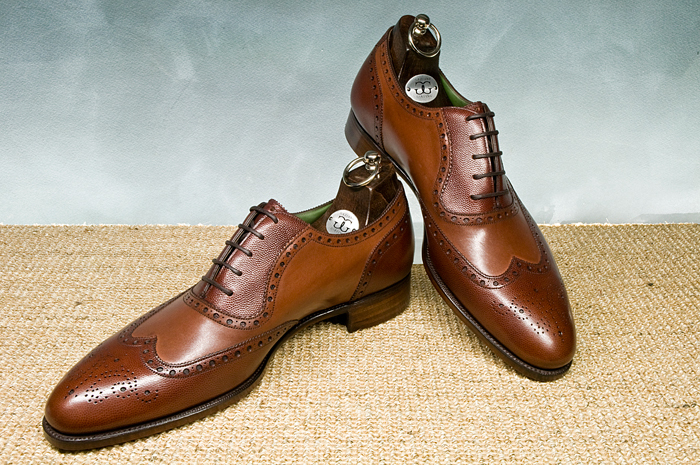 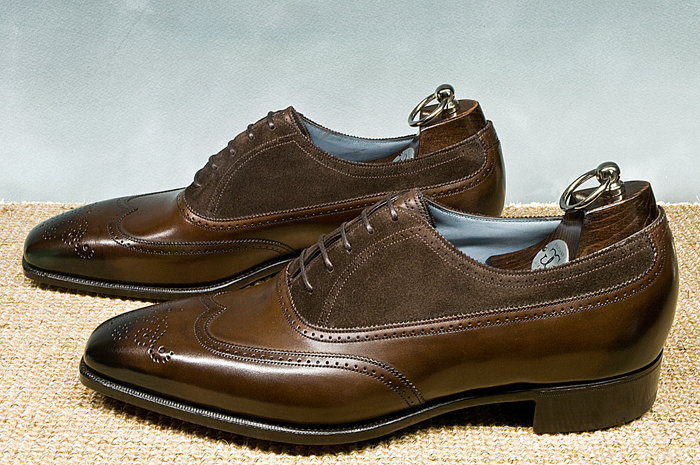 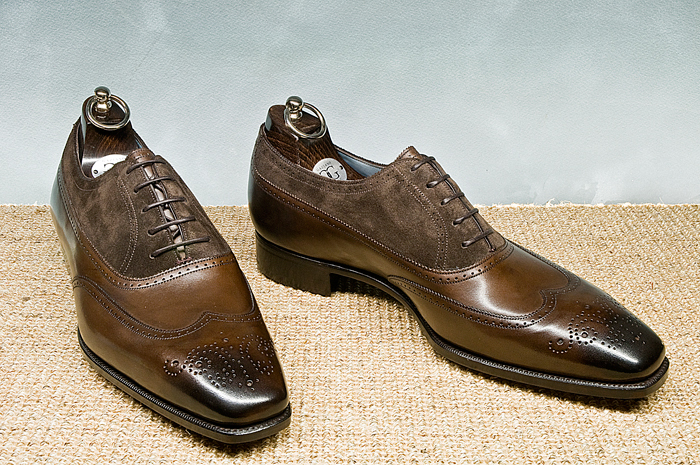 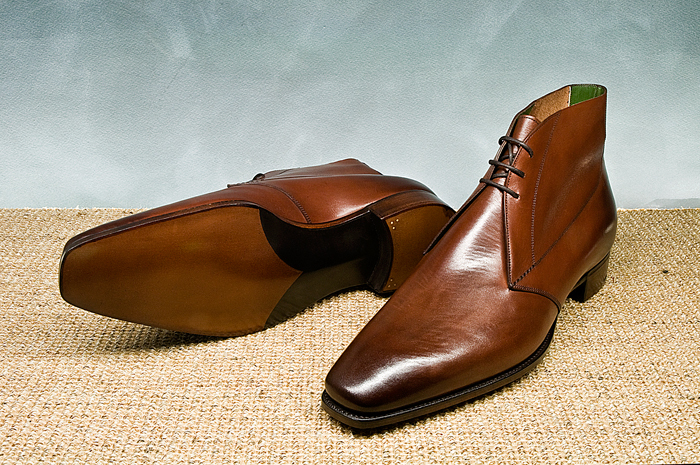 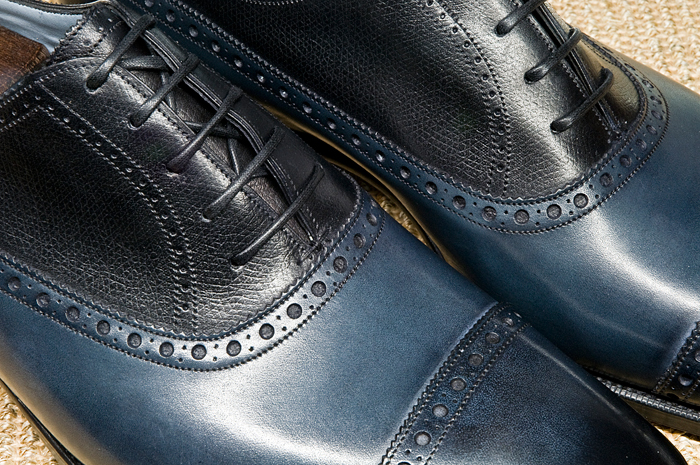 Beautiful balmoral wingtip featuring a mix of mole suede and vintage oak box calf, lasted on TG 73. 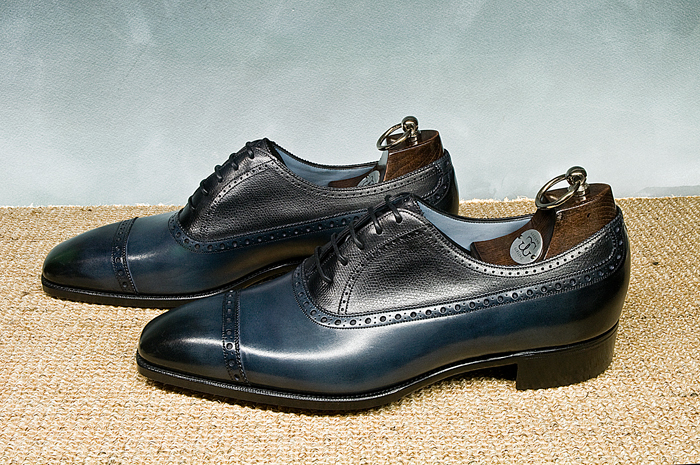 Versatile in your wardrobe, the wesminster is a elegant shoe to wear in casual or semi-dress situations. 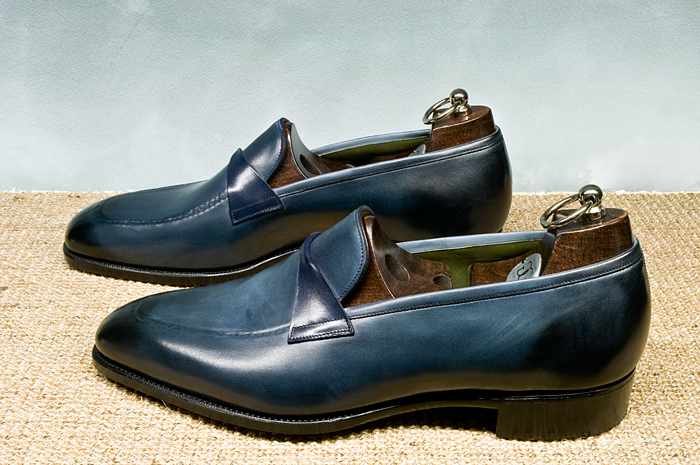 The butterfly Antibes loafer G&G is amazing with the reverse handsewn apron and split toe seam on the soft square slip-on last KN14. 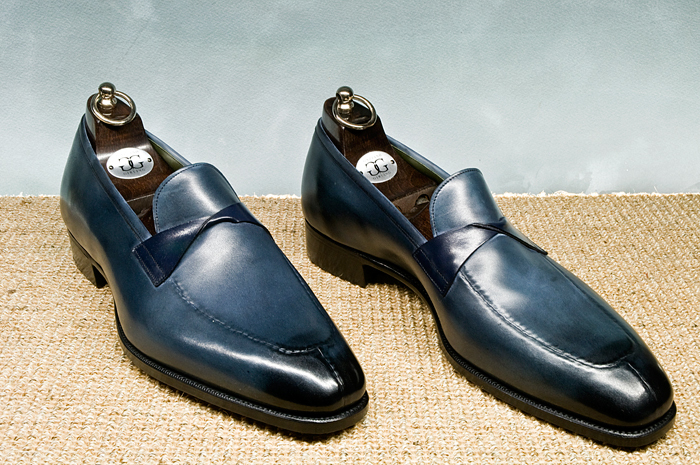 Coupled with the midnight blue & navy calf strap, it’s a versatile shoe to be worn with chic casual wear or napoletean tailored suit. 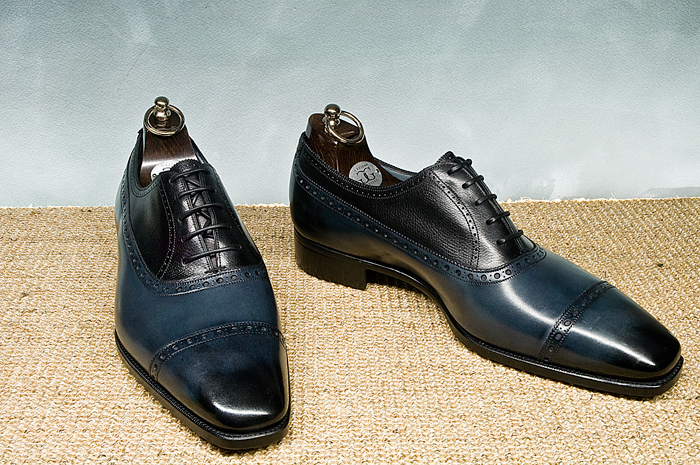 I have selected a black alpine calfskin with an extra small grained texture on the top and a midnight blue calf for the bottom. 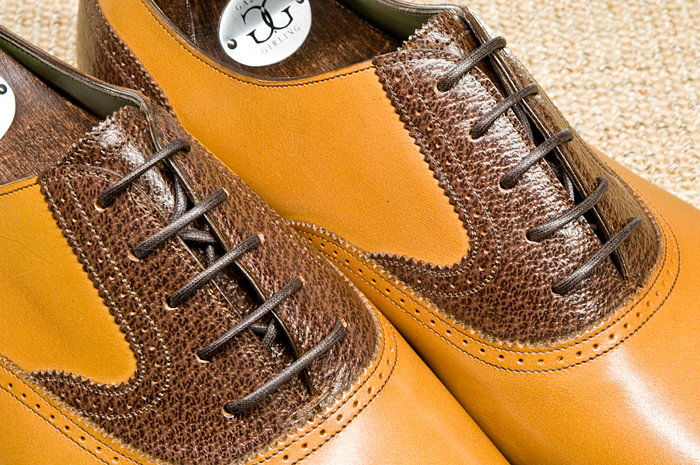 It is slightly more original than a classic shoe, on the amazing last TG73. 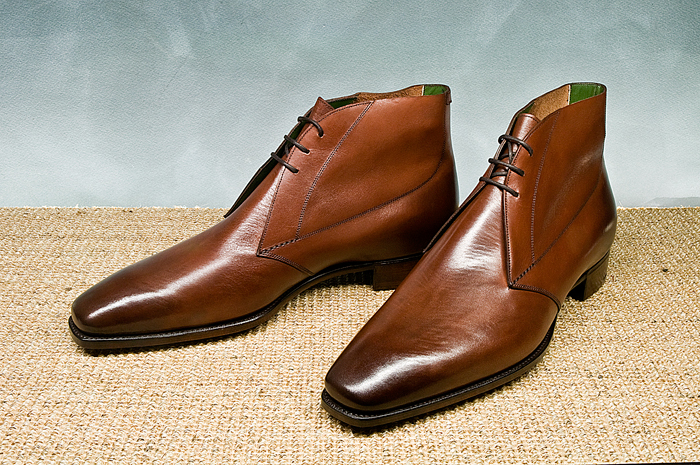 My first offering is probably one of the most exquisite chukka boot i have ever seen.The G&G Arran exudes luxury and beauty. 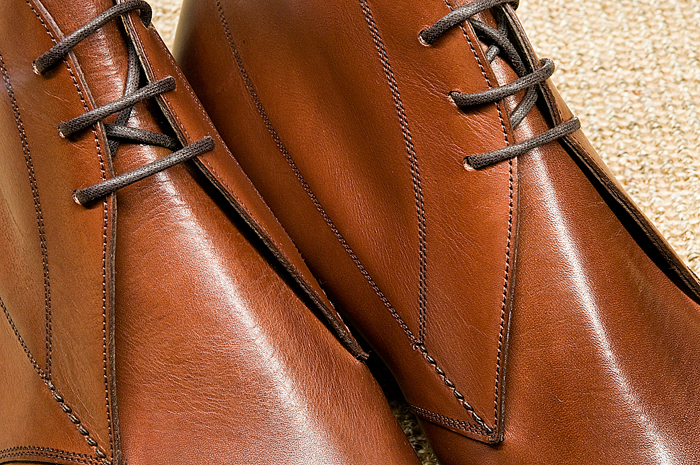 This version is on the classic square last TG73 and features a vintage cedar box calf. 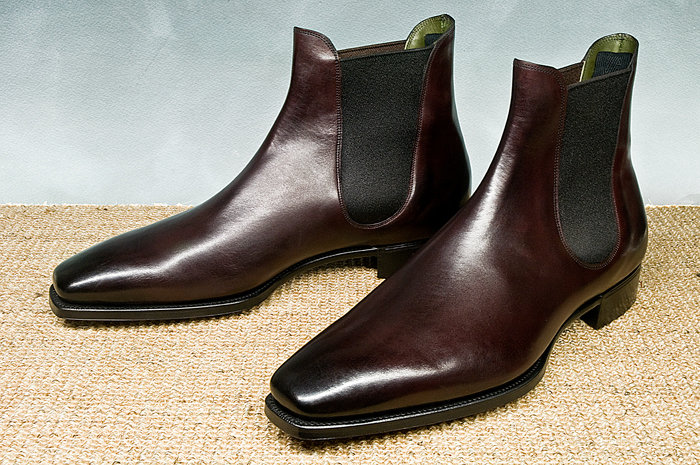 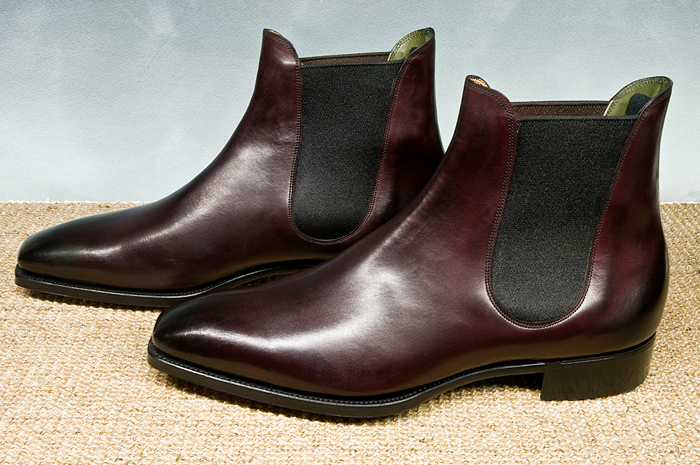 To end my first collection with Gaziano & Girling, i have chosen a Chelsea boot manufactured with only one piece of leather hand lasted and hand worked on the shape. 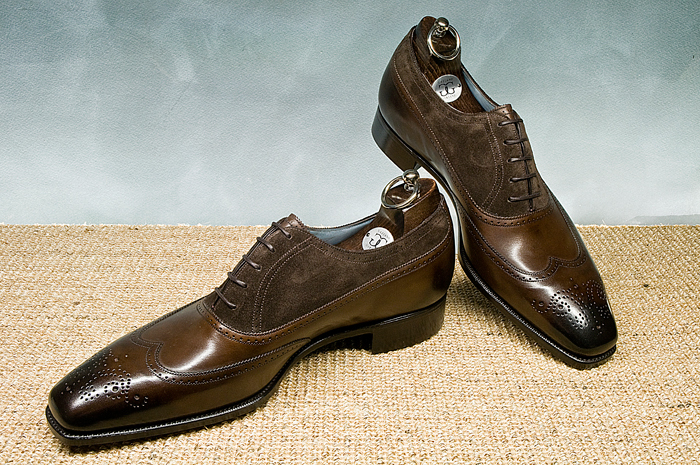 Handcraft at its height, a Masterpiece.